Video wall design is entering a bold new era. 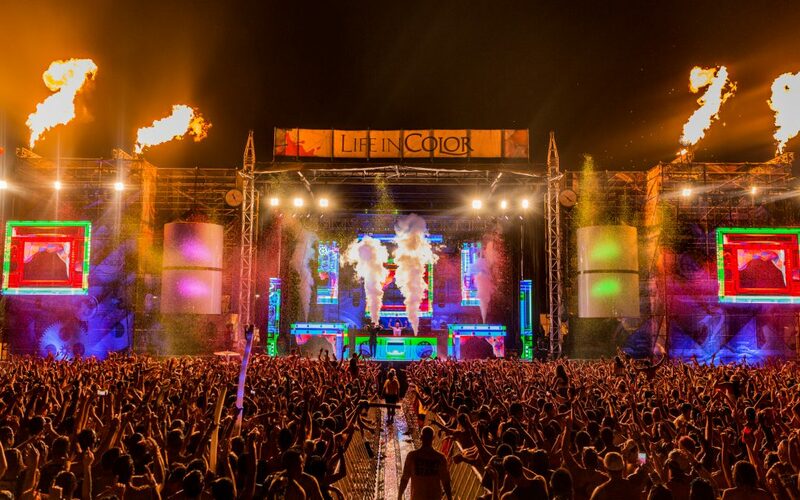 The 2015 version of Life In Color “The World’s Largest Paint Party” provided eye-popping proof of that. 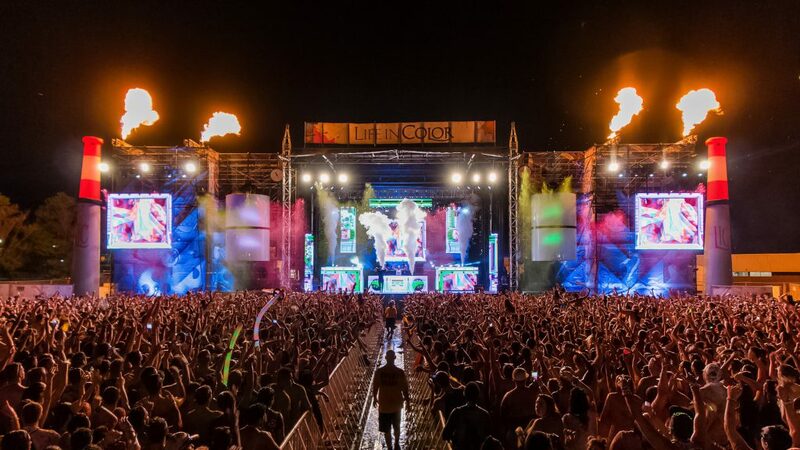 As impressed as we were with previous LIC festivals like the symbolic Phoenix in 2013’s Rebirth Tour or the mesmerizing circle of light in 2014’s Unleashed, neither prepared us for last year’s Paint Machine in a Factory show. 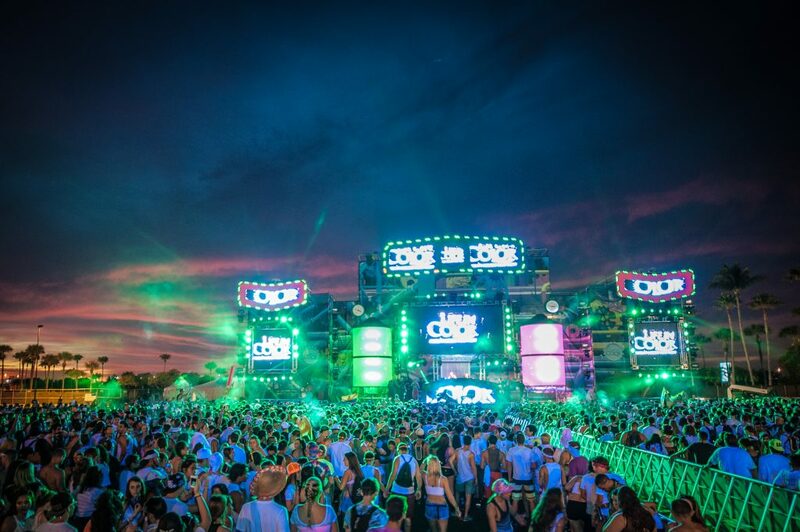 The massive multi-sectional video wall in LIC 2015 did more than provide stunning visuals, it also served as the foundation of an ongoing narrative that didn’t so much engage the audience as engulf them, sweeping them up into the Paint Machine story being played out on stage. In our view, the festival’s show represented a way of working with video that could scarcely have been imagined when the first panels were introduced a decade or so ago. 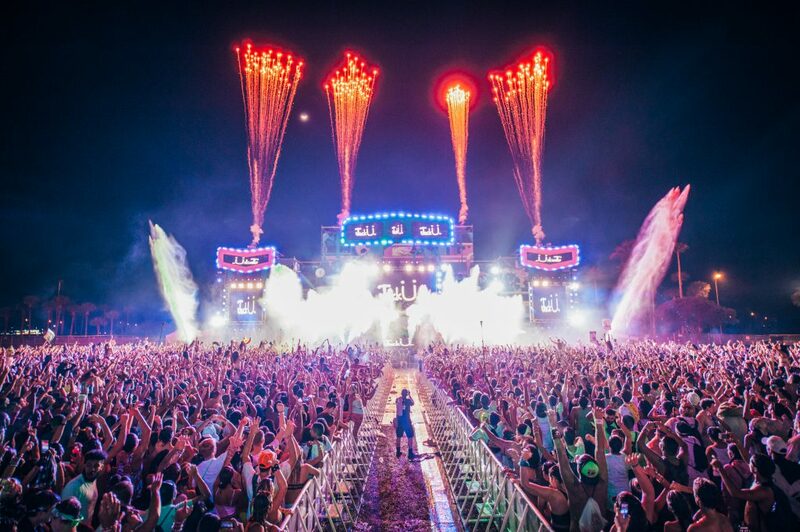 We caught up with Daniel Bouchard, the Production Director at LIC, to talk about new developments in video wall design, the evolving relationship between light and video and how both are reshaping festival shows. 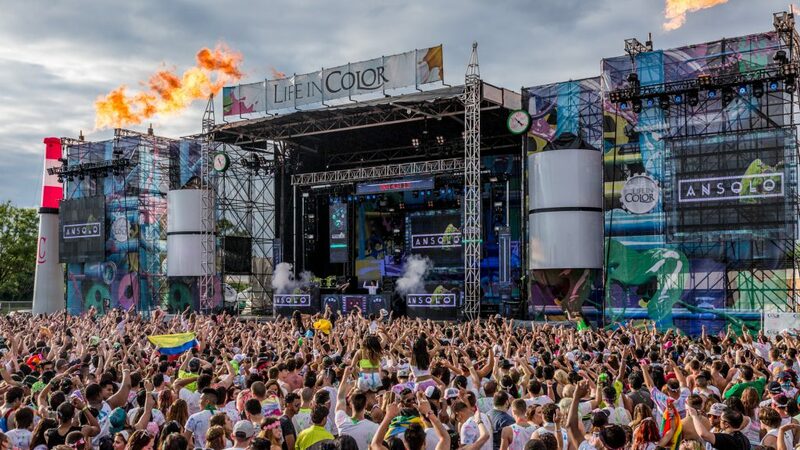 You built an impressive video wall for Life in Color this year that actually contributed to the telling of a story rather than simply just showing images. Can you tell us how the idea for this came about? When you have a video wall like this, where it relates a narrative rather than just showing images or text, does it change the way you design? Does it also change the features you look for in a video panel? Also, at Life in Color you broke your video wall into sections. It seems like more shows are doing this rather than having one continuous video wall. What are the advantages of doing this? How literal do you think you have to get to tell a story on video wall during a festival or concert? Do the images have to be realistic, or can they just suggest an image of what you’re trying to communicate? In other words, if your narrative involves birds, do you have to show images of birds, or can you have abstract suggestions of wings flapping? How do you tie your video wall in with the stage lighting? 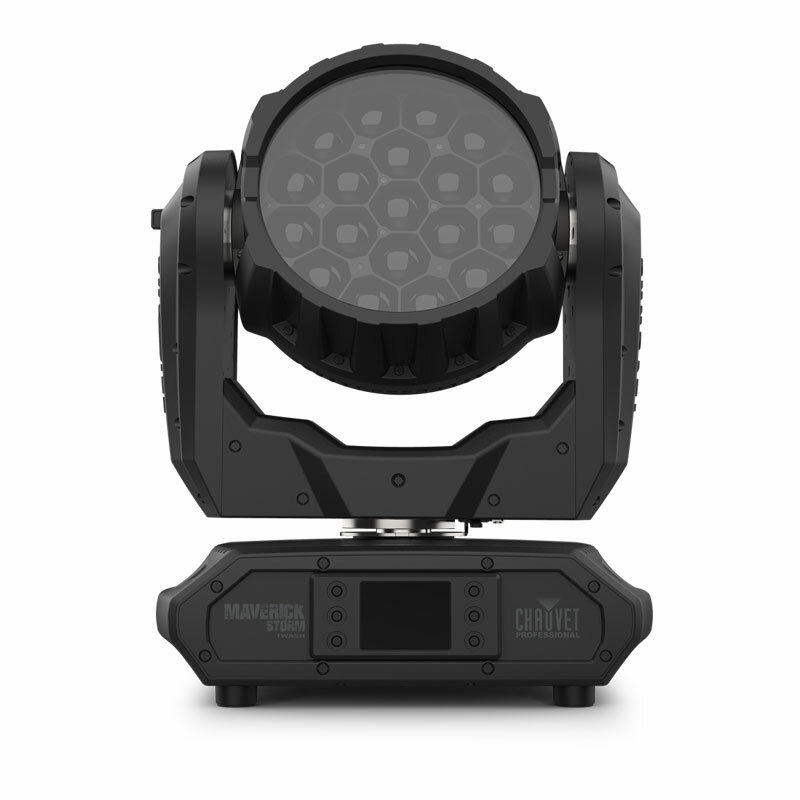 Do you rely on pixel mapping? 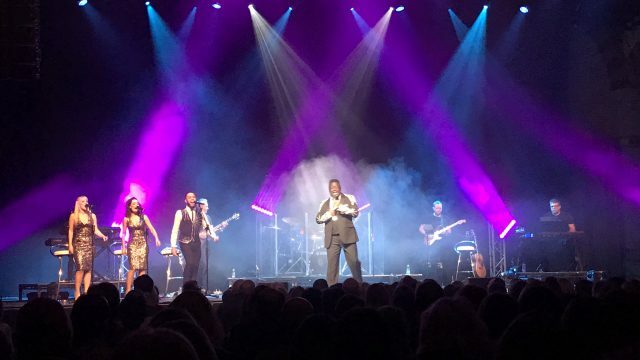 What are your feelings about having video wall sections of different shapes and sizes being used on stage? 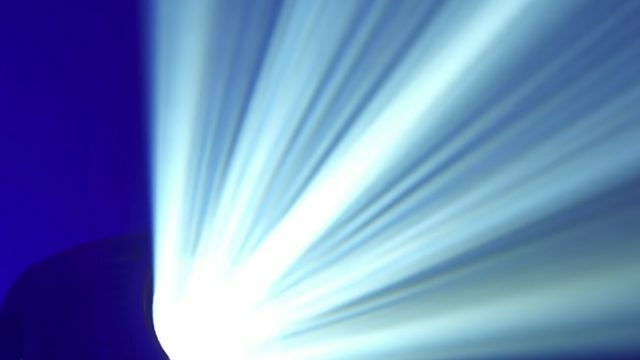 It seems that more LDs are putting fixtures like beams or blinders between sections of a video wall display – what are your thoughts on that? Any advice on how to incorporate fixtures into your video wall display? Any advice on how to keep video walls from being overshadowed by high output lights? Is it possible to overuse video walls? Do video walls make it easier for an LD to create a design? Where do you begin the design process when you have video walls and fixtures? Do you look at the video walls first?